Sterling silver tension set ring is hand crafted from a wax carving and cast using an ancient casting technique. 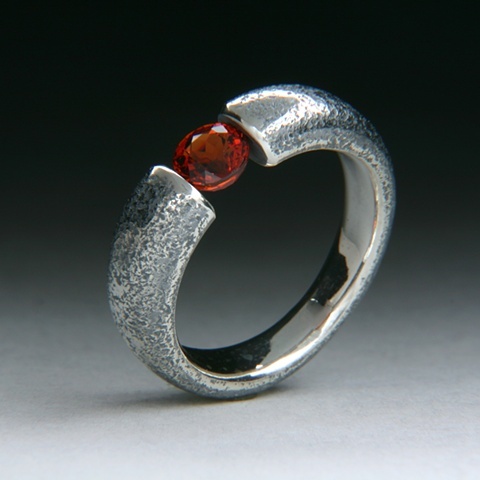 This textured Sterling Silver tension set ring hold a Spessartite Garnet. This ring can be made with other stones. Please send me a email and we can discuss the options.